Version 16.5.1 of Parallels® Remote Application Server (RAS) introduced a new level to allow for Delegated Control of Session Management called “custom administrator.” (This new level is in addition to the root administrator and site administrator.) IT management can use the custom administrator level to restrict administrators’ access to specific objects throughout the Parallels RAS settings. In version 16.5.1, session management on theme objects (a group of users) can be fully delegated to a custom administrator, but more objects will be added in the future. The creation of a custom administration account can be done through the Parallels RAS Console from the Administration menu. After creating a custom administration account, its permissions can be set and restricted to access only specific themes (a group of users). 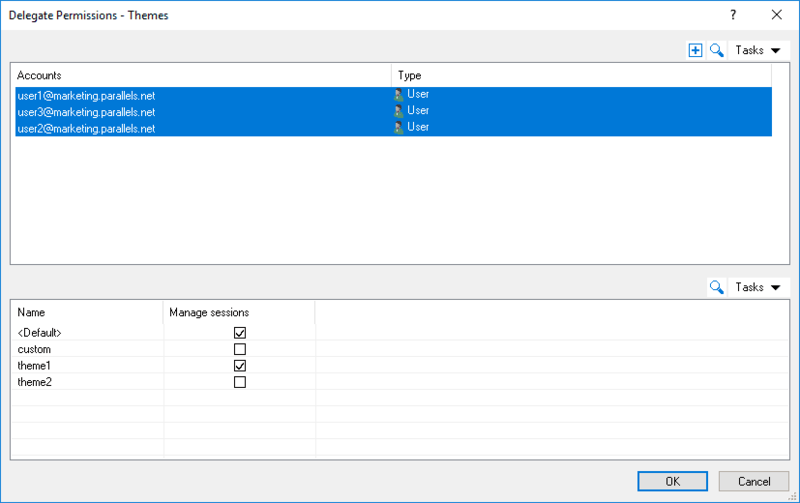 Essentially, the custom administrator can manage the user sessions of the specified themes to which they’re assigned through the Parallels RAS Session Management screen. The feature is currently implemented in Themes objects. To apply this feature in version 16.5.1, the users need to be assigned under specific themes and can be a many-to-many ratio (either one or multiple themes). This new admin level provides increased security and control while simplifying the management of your Parallels RAS Farm. At the same time, it makes handling the infrastructure easier by providing granular control and supervision of user sessions, whereas before it was all administrator accounts for all users. Now you can set custom administrator accounts without having to give them instructions as to what they can control; you restrict it! Citrix removed this option in Citrix XenApp 7.X and introduced the Citrix Director feature, which requires an extra license and a separate server with extra resources. Parallels RAS implemented this feature to provide Citrix users the best alternative solution at a fraction of the cost, keeping the infrastructure intact without extra resource requirements and complex configurations. Try our free, unrestricted 30-day Parallels RAS trial.